Each Bulgarian city with a population of more than 70-80,000 people either has a shopping mall or a project for the construction of such, said David Davidov from Colliers speaking at the BalREc conference currently taking place in Sofia. This year some 103,000 sq. m of commercial space will be available on the market. The total area of new space will top 400,000 sq. m by 2010. In the capital city Sofia there are some 75,600 sq. m of commercial space and no new projects will be completed this year. By comparison, 177,000 sqm will be added to the market in Bucharest and 15,200 sq. m in Belgrade. Deyan Rachich from Delta Real Estate Serbia said that 10 new malls will open doors in Belgrade within the next 5-7 years. At the moment the Serbian Capital only has 1 mall. “We are witnessing prices soaring to 200 eur/sq. m, which even banks find too expensive,”Rachich also said. According to Colliers, prices in Belgrade and Sofia are running at about 30-60 eur/sq. m, while in Bucharest they are at 21-45 eur/sq. 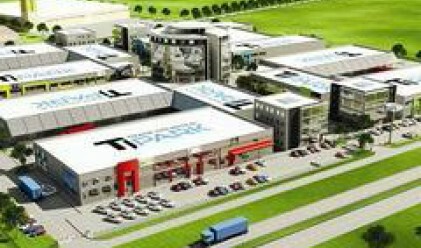 m.
Eli Agozi, Mall Bulgaria and Grand Mall Varna consultant, said that the price tag for the construction of a mall tops 100 million euros. A few years ago the construction of Mall of Sofia cost 53 million euros.